Use these tips over your regular marching sticks for practice or to add different sonic effects. Why buy a brand new pair of sticks that you're only going to use simply to practice? Why not practice with your favorite sticks whenever and wherever you can? 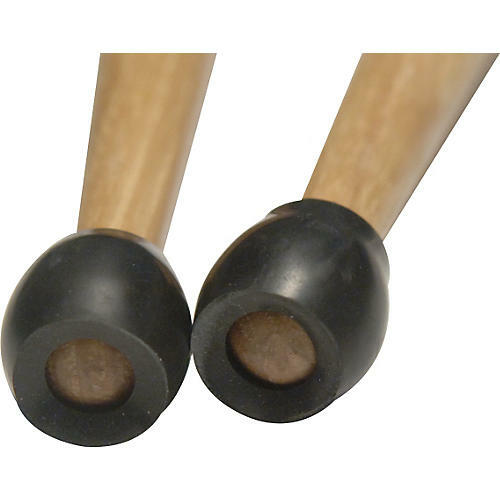 Innovative Percussion offers removable rubber practice tips designed to fit any marching drumstick. Each package of RPT-1s contains one pair each of the three sizes, thin, medium, and thick, so the player can choose the thickness to best suits their feel and sound needs. The tips can be easily added to any marching drumstick for individual practice or to create another unique color effect within a marching percussion ensemble.